It's been nearly a week since the Kohlrabi Kraze. We figure we'd give you a week before inundating you with yet another kohlrabi post. Last week you could not go anywhere without hearing about kohlrabi. We are sorry (not sorry) with overloading you with kohlrabi news. Can you blame us? We had 500lbs to sell in two hours! Our fear of carting away so many kohlrabies had us in a panic. But we never should have doubted you, Yellowknife. Of course you would be krazy enough to line up for a weird, spaceship like vegetable you have never tried. Of course you would enthusiastically buy 500lbs of it in under two hours. For this, we are forever grateful. For saving us from having to haul hundreds of pounds of kohlrabi away in defeat. Sold out in less than two hours! If you have not eaten your kohlrabi, rest assured that they will stay good in the fridge for at least another two weeks or so. If you're still wondering what to do kohlrabi, reading this post should help. Still need more ideas? How about trying out one of these recipes? Peel kohlrabi and carrots. Finely shred both the kohlrabi and carrots with a mandolin or a knife. Marinate the shredded kohlrabi and carrots in rice vinegar, cane sugar and salt for at least 1 hr in the fridge or overnight. Whisk together lime juice, salt, honey, pepper and chili for the dressing. Pour into the marinated kohlrabi and carrots and toss evenly to coat. Remove mint leaves from stem. Chiffonade mint by stacking several leaves together and rolling tightly into a tube and slice into thin strips. Mix into the salad. Toast peanuts in 350F oven for 15 - 20 min or until fragrant. Stir frequently to prevent burning. Remove husks and crush peanuts in a mortar and pestle. Serve salad garnished with crushed peanuts. Recipe by Lorie Crawford of Zing! Wash & dry a litre mason jar. Clean & peel kohlrabi. Using mandolin or food processor, slice kohlrabi into thin sticks. Place in jar. Combine remaining ingredients in pot and bring to a boil. Once brine is boiling vigorously, remove from heat and carefully pour brine over the kohlrabi. Place lids on jars and let sit to cool. Once jars are cool to touch, refrigerate the pickles & serve with salads, meats or cheeses. 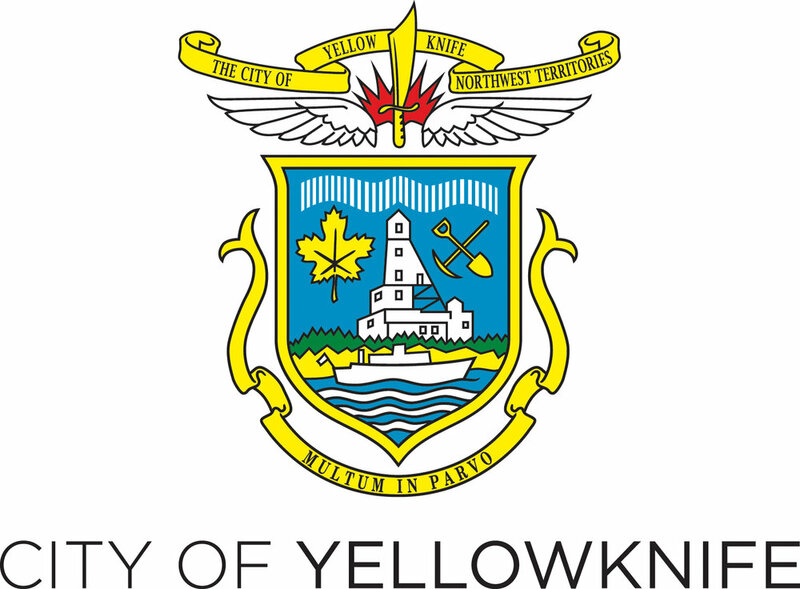 If it's anything we have learned, it's to never doubt Yellowknifers' ability to back and support something weird. Kohlrabi, we've also learned, have friends far and wide. Politicians, babies, reality show pilots, filmmakers -- you are all friends of kohlrabi. Here's a round up of some of our favourite memories with our kohlrabi ambassadors, Karl and Kristina. They kohlrabis have arrived! They are all eagerly waiting for the market on Tuesday! Let's take a look back at it's journey. On their way to meet Yellowknife! Kohlrabi Kraze comes to the Farmers Market! August 18th will be the debut of the delicious kohlrabi to the Farmers Market! The Yellowknife Farmers Market is partnering with Hay River’s Indian Summer Market Gardens to bring hundreds of this slightly odd looking, but delicious vegetable to our Tuesday market. Lucky us – the kohlrabi loves our northern summers and Hay River has a bumper crop of them this year! The kohlrabi will be sold for $1, $2 or $3 depending on size. You can also pre-order large quantities at $4/kilo and pick up your order at next Tuesday’s market. Just send an email by Monday, August 17th. Kohlrabi looks like a giant turnip and tastes like a cross between cabbage and broccoli. It can be eaten raw or cooked. It’s one of the healthiest vegetables around because it provides so many nutrients. Here are a few nutrition bits you should know. Kohlrabi is high in dietary fiber (which most of us do not get enough of) 1 cup raw kohlrabi has 5 grams of dietary fiber, so it’s a fantastic choice for good digestion (by contrast, 1 cup corn (also considered a high fiber vegetable) provides 4 grams (and 1 medium sized carrot provides 1.7 grams). Low in calories - only 36 calories (by comparison, 1 cup of cooked rice is 204 calories); 83% of kohlrabi’s calories come from carbohydrates; 15% from protein and the rest of the calories comes from fats. Of all the vitamins in kohlrabi, vitamin C is the most abundant: 1 cup provided 84 mg of vitamin C (or 140% of the amount of Vitamin C you need each day). Again by comparison, 1 up of orange slices contains 160% of the Vitamin C you need a day). Kohlrabi also contains B vitamins (B6, thiamin, riboflavin, niacin, pantothenic acid and folate) – B vitamins play a role in healthy metabolism as well as healthy skin and hair. Minerals found in kohlrabi include potassium (14% of our daily needs (helps us metabolize protein and sugars); copper and manganese. Magnesium, phosphorus, calcium, iron and selenium are in there too but in small amounts. Kohlrabi is a member of the brassica vegetable family – these vegetables have been studied for their protective and preventative effects for some types of cancers. A field full of kohlrabi waiting to come to Yellowknife!